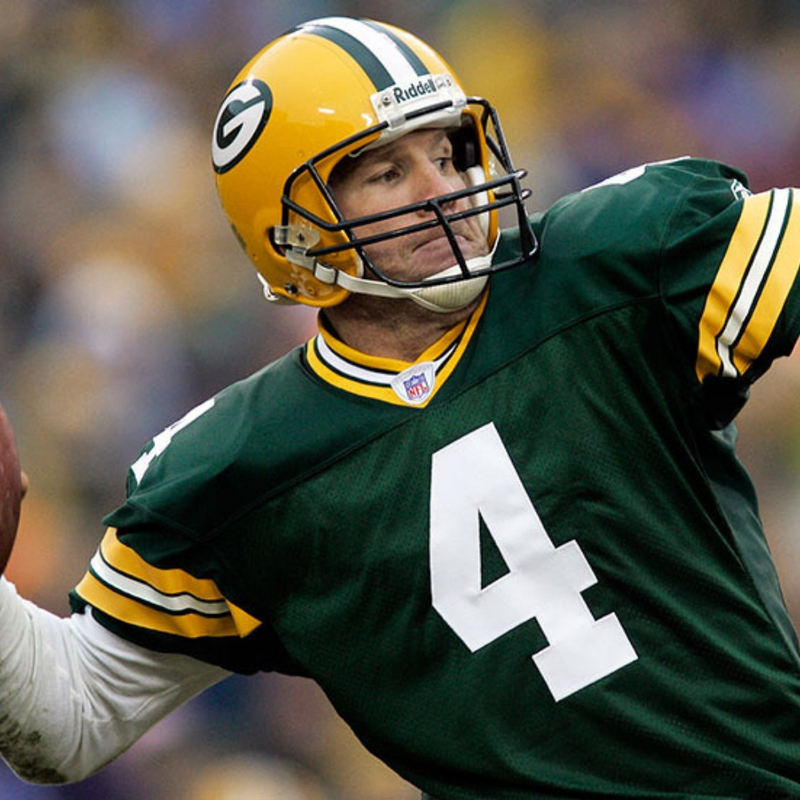 Brett Favre is one of the most recognizable football stars of the past 20 years. He grew up playing football in elementary school, and it seemed as though he was always destined to play professionally. A true athlete with a true talent. While many kids show early promise, not all of them can make it, in fact hardly any do, but Favre had a burning desire to keep improving. His will to win was only matched by his will to improve, and that combination led to him becoming one of NFL’s best quarterbacks in its entire history playing for the Green Bay Packers and helping lead them to a set of famous wins. His past has had seen its ups and down mostly regarding his personal life and relationships with women and Dianna Favre. 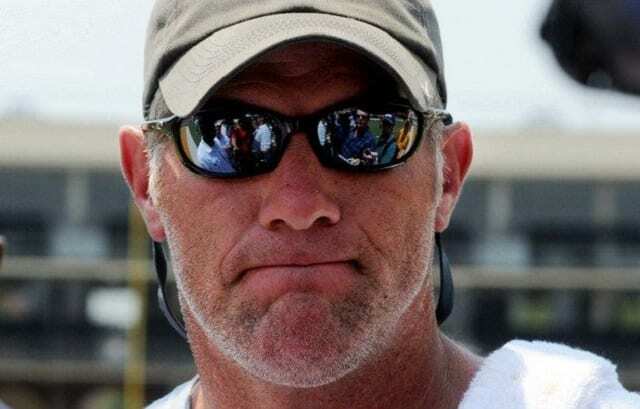 This is the story of Brett Favre providing a look into his sports career and his personal life. It seems as if the media can’t get enough of him and his name has shown up in more than a few stories over the years. A lot of them that really have nothing to do with football. Brett today is retired and has a lot of personal achievements and events he can look back on and reflect. 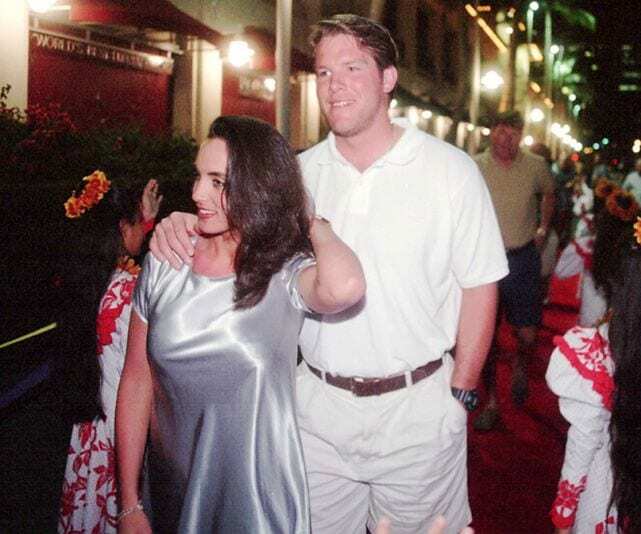 Since the age of 14, legendary football quarterback Brett Favre had been dating the woman he wanted to spend the rest of his life with, Deanna Tynes. It wasn’t just puppy love though, and the pair seemed destined to be together for a long time. They both knew that they had something special in their relationship but Brett had another love. His love for football that was extremely important in his life. As his career progressed, Favre discovered that it was difficult balancing being in a relationship and being one of football’s top stars. Soon this struggle to strike a balance would force a wedge between him and Deanna, creating problems in their family life. Someone with his career had to face many different difficulties along the way and his personal life was also affected by his career it was almost inevitable. 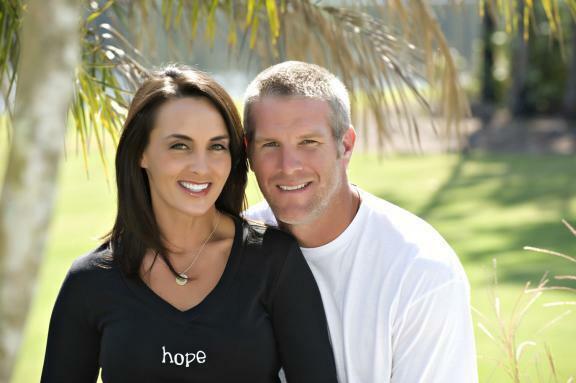 Brett Favre had been playing football for several years before meeting the love of his life, Deanna. After falling in love, the pair were married on July 14, 1996. Favre had it all, he was handsome, he was one of the most promising football stars in America, and he was charming. Everything was going great for him and he didn’t expect problems along the way. He had Deanna and a bustling career. Despite the fact they were seemingly so madly in love, things in their relationship would take a turn for the worse. The pair were young and at 20, Deanna fell pregnant. They had to make different life choices and understand that they were going to be parents to a child. This was the start of them forming their very own family even at their very young age. They didn’t expect it but it happened and it was something to deal with. 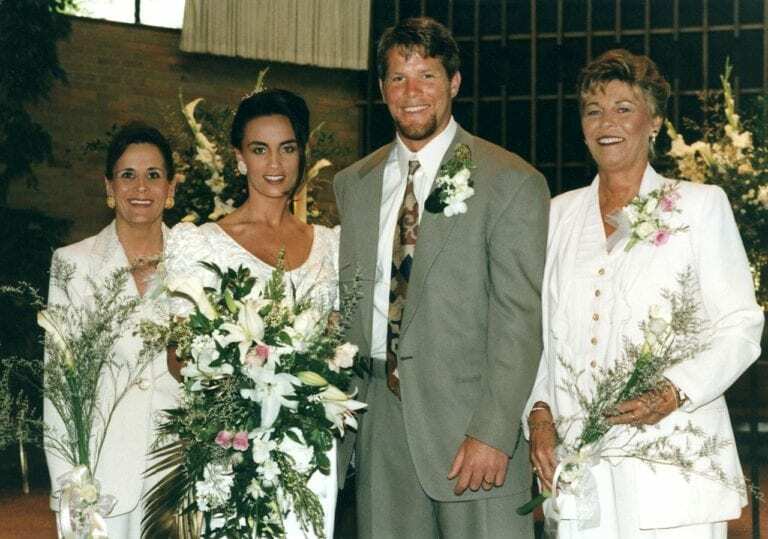 Before Favre and his wife got married, she relocated to move in with him. The distance had been a struggle for them, but after moving in, Deanna had something else to worry about. In a high-profile news story that was being aired every where, Favre was sending questionable messages to female members of the New York Jets backstage crew. It didn’t look good for Favre, it was actually a very bad move on his part. Fans were shocked at his problematic behavior and it had to be addressed. The women involved were Jenn Sterger, Shannon O’Toole, and Christina Scavo. The women had complained about Favre’s behavior, but instead of the football star being punished, they were fired from their jobs. They were speaking out about Favre problematic behavior but ended up being the ones who received the backlash. Favre still looked bad but they lost their jobs over it something that was a big deal to them. The texting situation was big news, and the story was run by multiple news outlets. Favre was hitting the headlines but not for his performances on the field, it seemed like this scared him as he kept silent. Despite this public ordeal, Favre refused to speak about it, instead just focusing on playing football. People wanted to know the truth and they wanted him to comment about his actions, but this didn’t happen. While he might not have been willing to talk about it, his wife came out several years later to give her version of events. Deanna stated she got through the hard times by focusing on her own faith. She didn’t ignore the allegations and say that he was innocent but she was brave enough to come and talk about the issue on live television even though it was years later. Brett and Deanna started their family early but ended up breaking apart shortly after. This made for a weird situation in the family, sometimes together, sometimes apart. Overall Favre has two daughters with Deanna, who were born ten years apart. 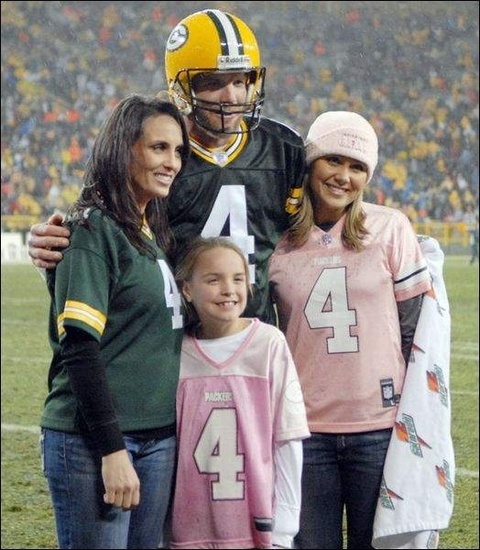 Favre and his wife reconciled after some time apart, and the two daughters grew up in different circumstances. This must have been hard for them, as their family was never one united unit. The couple’s first daughter, Brittany, was born into the world while her parents were arguing and not together, while Breleigh was born after they had made amends. Deanna wasn’t sure what kind of father Favre was going to be, as she shared that Brett could occasionally talk at Brittany aggressively for no reason. This didn’t help their already strained relationship and things kept looking worse and worse for them. Although they did get back together in later years. By the time his second daughter was born, Favre appeared to be in a better place. He was happy and his career had been progressing as well as he had hoped. In fact, it was almost going better than could be expected. After the rocky past things seemed to have settled down between Deanna and Brett, they were no longer fighting and maintained a normal relationship. The quarterback appeared to be loving life as a father now. Every moment at home he tried to spend with his daughters. His life as a football player was demanding but he really tried to make time to be home and form a real connection with his two girls. Deanna appreciated the efforts he was making to keep the family together. The fact Brett found a balance between family life and his football career was great and things seemed to be going well for him. One way Favre tried to be a good dad was with humor, often trying to embarrass the girls in front of their friends. He would blast out country music really loudly from his car when picking them up from school, trying to make them laugh. He was close with them and wanted to show how much he cared for them in an any way he could. His efforts were noticeable but his personality sometimes turned a little dark and the outcome was problematic. He wasn’t always in the best of moods around his daughters. He was trying to be a good dad, but Favre would suffer from mood swings something that were scary for his kids. To go from one second to happy and funny and the next to angry and frustrated. For young children, these personality extremes could be difficult to experience and could have traumatic effects on them in the long run. Kids don’t always understand why things happen and they just react with their instincts. Although Favre and his family were getting through the situation as best they could, they couldn’t shelter their eldest daughter entirely. The media took a long time to shy away from the story about Brett and his daughter noticed something. Brittany could tell something wasn’t right and her father had been doing something he shouldn’t have. As a young kid she didn’t understand how to deal with it but she was forced to. After all this was her father in the spotlight. The increased focus on their family life led to rifts among the family, especially as Brittany was still trying to understand what had happened. Brett still tried to be the best father he could despite all of the negative words being said about him. He tried to keep it cool and together in front of her but it was a truly difficult situation. Brett was stressed from it and it was obvious that he was trying to cope with something difficult. Favre tried his best not to let the media attention on him ruin his daughter’s lives. He just wanted to spend so much time with his children as he possibly could, to try and support them through growing up. His youngest daughter, Breleigh, is doing her best to follow in her dad’s footsteps and is all set to have her own career in sports. She currently plays volleyball. Sports are in the Favre blood and it comes very natural to them as you can see. Breleigh keeps working hard and is striving to be come the best that she can be, just like her dad. He taught her to chase her dreams and always try to achieve the best she can in what she does. 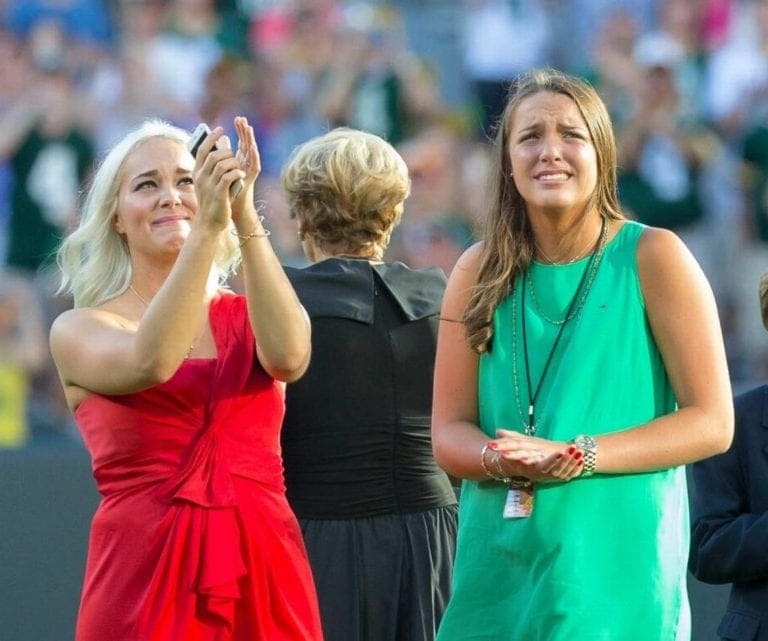 That mentality is something only really good athletes like Brett Favre have and it seems he has passed on this mentality to his very own daughter. We hope to hear about her in the next coming years doing amazing things on the court or field or wherever she will be. Not only is Breleigh following in her father’s footsteps by focusing on a career in sports, she is also going to the same college that he went too as a young man. Family legacy is important in the Favre family. Breleigh attends the University of Southern Mississippi and has high hopes of becoming a professional volleyball player as she plays for the University’s team. Choosing this college was a natural choice for her and she is hoping to have an amazing experience there. Besides sport, she studies biology and, alongside volleyball, loves skiing and playing the piano. She is smart and talented, good for her. No doubt Favre will be proud of his daughter regardless, but he must be delighted that she has chosen a career in sports. 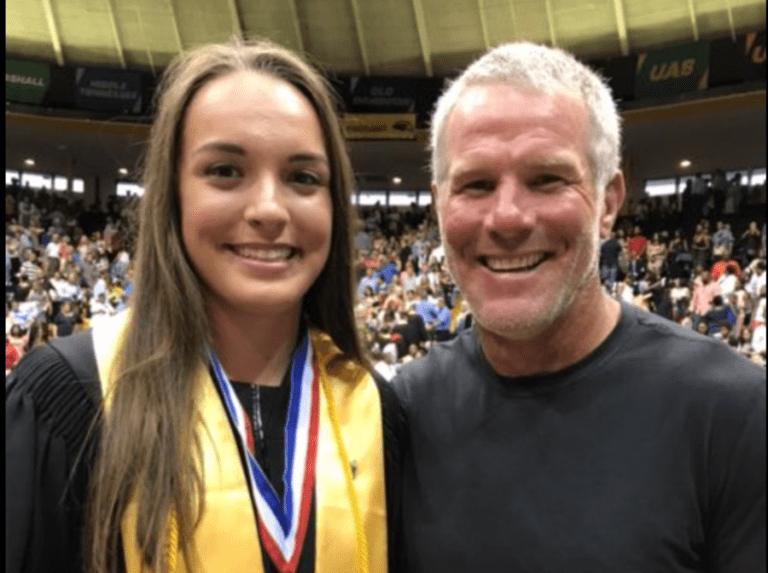 Favre has encouraged her to pursue this career as he believes sports are a great way of life, it must have been emotional seeing his daughter get accepted to the same college he went to. While Breleigh might have been known for her sporting achievements, Brett’s eldest daughter was known for something else. She was the definition of America’s sweetheart with her blonde hair, radiant smile, and bubbly personality. Being the daughter of one of America’s sporting heroes meant that Brittany became a teen idol. Undoubtedly the girliest of the two daughters, Brittany seemed to be enjoying the media attention she was getting. Soon she would be getting more attention than her father would have liked. Eventually, Brittany was old enough to understand exactly why her father had been getting so much negative attention. She used this to her benefit and often would give her opinion on what she thought about her father’s actions. No one could have accused Brittany of being camera shy, and over the years she has built up a big social media following. This image went viral when it was taken after a friend snapped Brittany having some fun at a party. All of the partying behavior wasn’t sitting well with her parents. While there wasn’t a public outcry after the photos came to light, Brittany’s close friends shared that her parents had been giving her a hard time over the images. Perhaps they were not so happy with the images coming to light as the family had already been through their fair share of negative media attention. Even though Brittany was just living a normal life, something strange was about to happen. Brittany was famous at this point in her life. The media attention her family received meant that she was now a public figure. Despite her face being known to many, there were some photos that emerged of someone who looked similar. 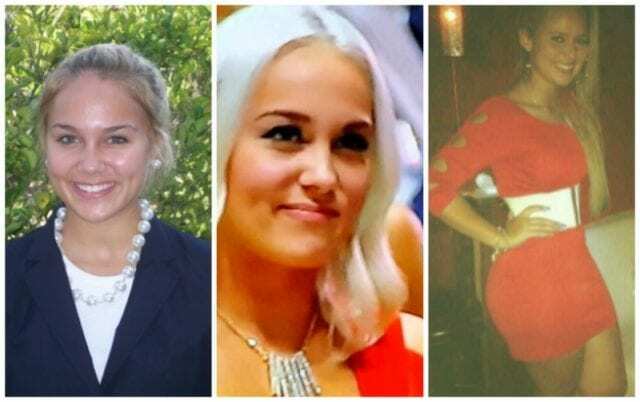 These images were of a Brittany Favre look-a-like who was definitely not shy in posting provocative images. Many of these images, of a girl who isn’t Brett Favre’s daughter, have been used to portray her, despite Brett’s disapproval. The partying lifestyle seems to be a thing of the past for Brittany now, and she has moved on with her life. 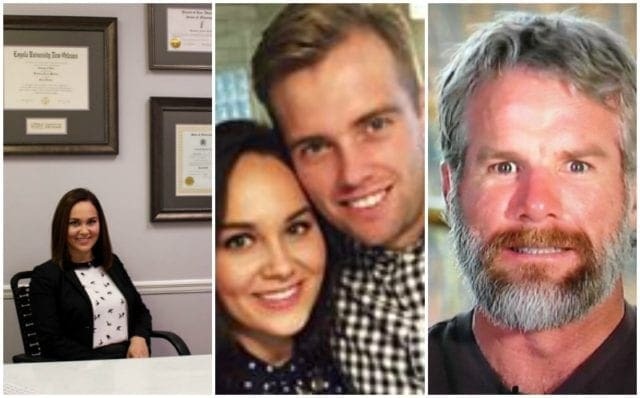 Brittany is now happily settled down with her own husband, while providing Brett and Deanna with a grandson. Brittany wanted the world to know many of the images that had surfaced of her were all just misunderstood. While taking a step back from the limelight, Brittany, like her sister, was able to focus and achieve great things in her life. A few years ago Brittany finished her studies, earning a law degree at the Loyola University School of Law. She is a full-time mother and works as a lawyer in Mississippi. Brittany did an interview with Bleacher Report, showing the world she has grown up and become a strong independent woman. Despite growing up while Brett was involved in many media stories about his personal actions she seems to adore him regardless. Brittany curbed the partying and focused on being the best person she possibly could. Brett Favre played professional football for many years, but eventually the time came for him to draw a close on his career. Deanna and Brett now enjoy spending lots of time together, trying to have as an active a life as possible. They spent much of their time outdoors rock climbing, running, cycling, and even competing in grueling triathlons. While Brett has left professional sports behind him, he is still more than active enough with Deanna in their spare time. Brett Favre had an incredible life; one millions of football fans can only dream of. He was born into an active family who lived in a large house in Mississippi. At the family home, Brett would hunt, fish, and play football. His father could tell that Brett had a talent for throwing the ball, but knew that his school had a strong football team. Brett’s father developed his son to ensure he had the best possible chance of making it in football. While Brett had an active life at his large family home, it wasn’t until he was in the fifth grade that he held a football for the first time. 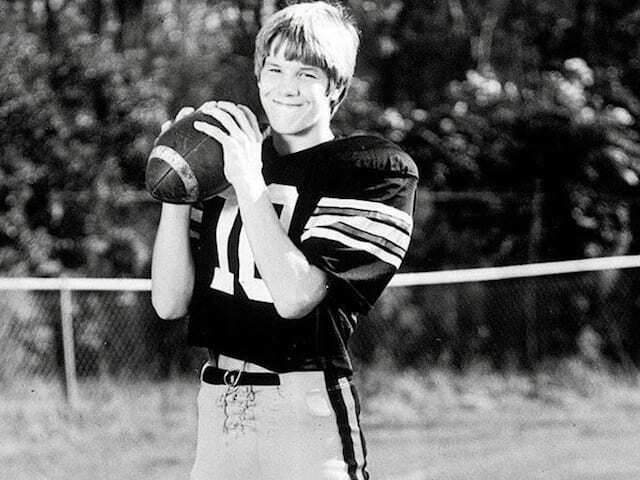 Favre played in the ‘Fifth Grade Jamboree,’ realizing there and then that he had a talent for the sport. That was his first ever game, and he scored three touchdowns despite having no experience of playing before. He would play football for his elementary school but only moved to quarterback after several seasons. 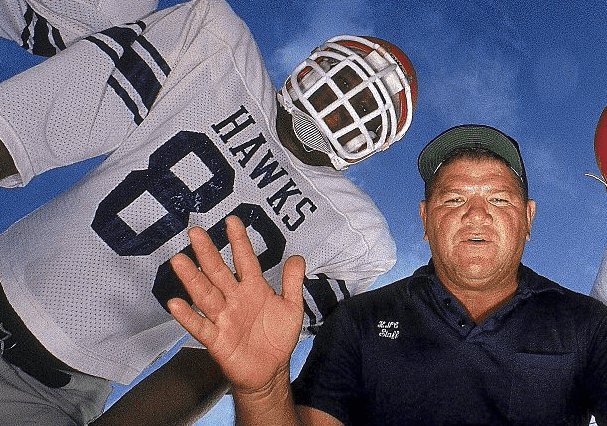 As Brett made his way to high school, he was playing as a lead offensive blocker, but the coach of the team always pushed Brett to achieve more. That coach? His father! 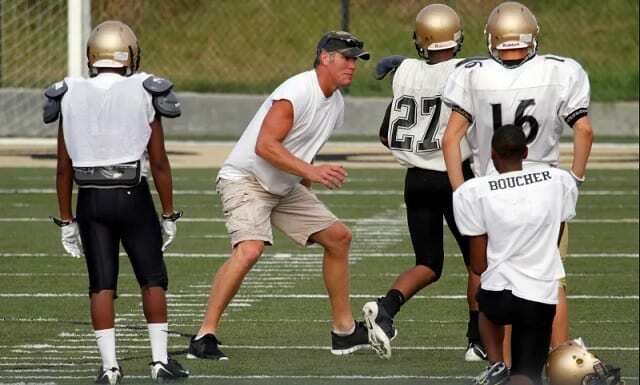 Many of Favre’s former high school football teammates commented that their coach was often much harder on his son than the rest of the team. Perhaps he thought the tough love would make his son a better player, and it didn’t seem to hurt his career at all. Following a successful high school football career, Brett was always going to play at college. Favre would play at the University of Southern Mississippi, but an accident threatened to cut short his career before it started. 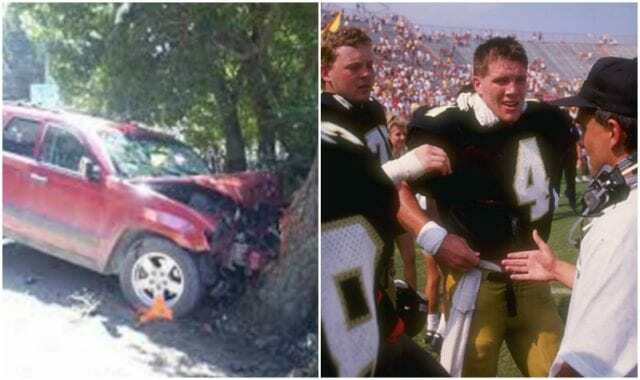 Favre was involved in a car accident, and while it wasn’t too serious, the future football star had to take a break from playing. He had 30 inches of his intestine removed, but when he recovered, he was ready to play again. Brett was a hit on the college football scene, and soon he was being courted by some NFL teams. 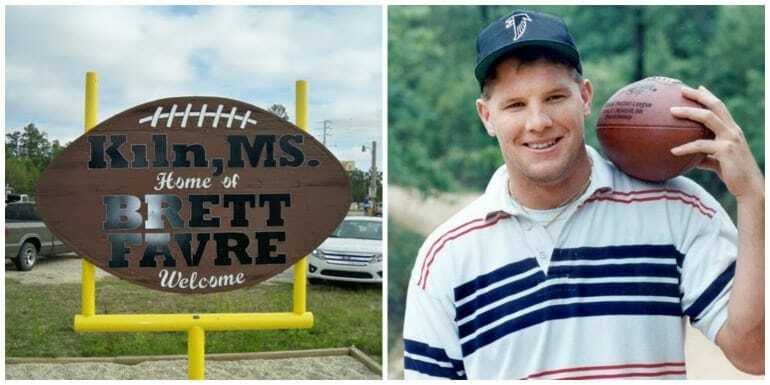 Favre moved to the Atlanta Falcons, but he didn’t get the credit he deserved from his teammates and coach, because he was from Mississippi. Wanting to be the best, Favre would begin taking pain medication to help him play through his injuries. This would start him on a slippery slope, and soon he was too dependent on this pain medicine causing for more issues than before. While the Atlanta Falcons might not have recognized his talent, Favre soon found somewhere that did. 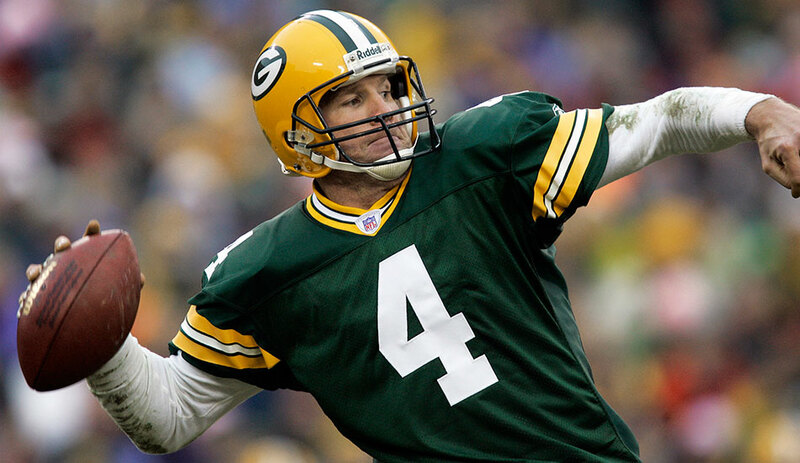 Unquestionably talented, Favre was chosen to play for the Green Bay Packers. He stayed with the Packers for nine years, establishing himself as one of the greatest quarterbacks to ever play the game. Soon he was smashing Green Bay and NFL records left, right, and center. This unrivaled talent made him one of the hottest properties in the NFL. 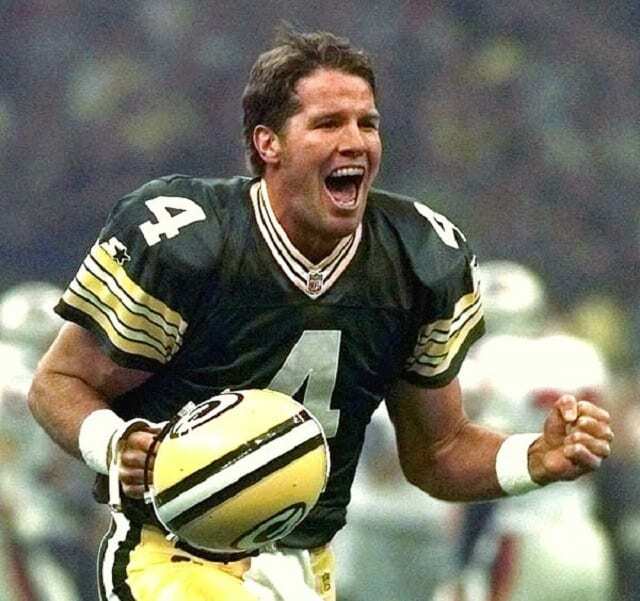 Seemingly defying biology, Favre continued to give 100 percent in each and every game he played in. While the pace he played at should have been taking a toll on his body, Favre seemed to be able to play through the pain barrier without issue. The reason why he was making it through tougher and tougher tests was because of the pain medication. Favre was now becoming ever-reliant on his medication to ensure he stayed ahead of his rivals. Brett was a big name in the NFL during his texting ordeal with the three women from the New York Jets. A legal battle began after the women lost their jobs, but Brett kept his. Favre went to court, but the fight didn’t last long, and his lawyer confirmed they had agreed to settle out of the courtroom. Favre also had to pay a fine to the NFL as he had reportedly kept information back from them during the initial investigation. Even though Brett and the three women had settled out of court, it seemed as though the problem just wouldn’t go away. One of the women, Jenn Sterger, agreed to be interviewed on Good Morning America. Sterger was claiming that she actually didn’t make any money out of the arrangement describing the experience as an emotional and a difficult ordeal. To make matters worse, Sterger claimed she never wanted to enter legal proceedings, all she wanted was her job back. Not long after the texting situation had first reared its ugly head, Favre spoke at a press conference. He wanted the world to know that he had been dealing with a from a problem. He was finally admitting to his family, his fans, and, most importantly, himself that he was way too dependent on taking pain medication. Favre went away for a year to get help with this issue of his, but finally, he was clean. After getting clean Brett asked Deanna to marry him and his career only got better. Some of the problems that Brett faced in his career only went to prove that he was just an ordinary guy who had an extraordinary talent on the football field. He had his own issues, but he was coming back stronger than ever from them. Following his time away and getting hel , he resumed his career with the Green Bay Packers, and he seemed to be playing better than ever. His form led to the fans falling in love with their superstar quarterback. For anyone playing football, the aim is to get to the Super Bowl. Brett had been performing miracles from his position, and he led his team to the biggest game in football. His career was at its peak, now there was just one game between him and immortality. 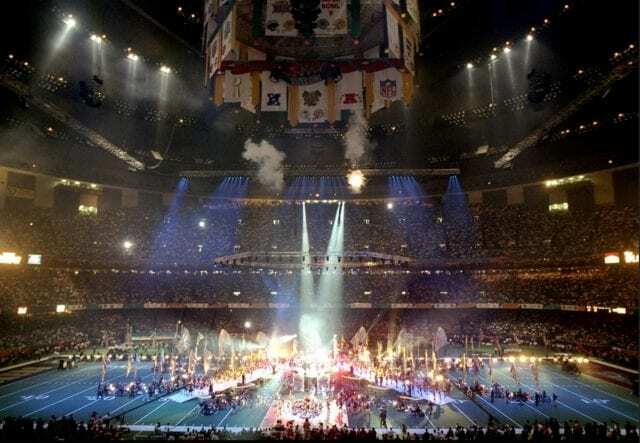 Amazingly, the Super Bowl was being held in New Orleans, not too far away from where Favre grew up. All he had to do was beat the New Orlean Patriots. At the beginning of his career, Favre wasn’t known for being the most level-headed of quarterbacks. While others could survey the scene, Brett acted on instincts, but as he matured so did his game. 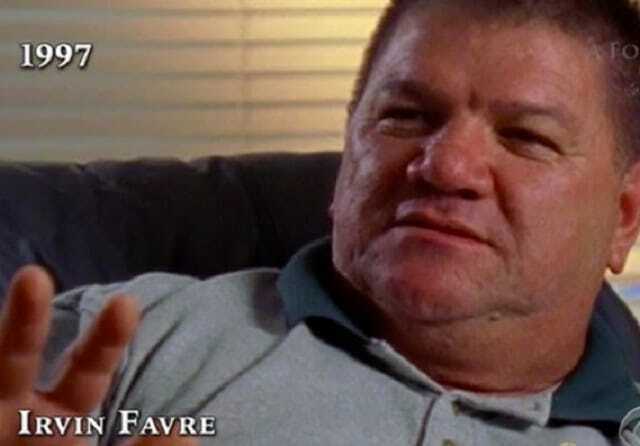 After his time away getting help for himself, Favre came back a much more intelligent player with a greater perspective of what was happening around him. 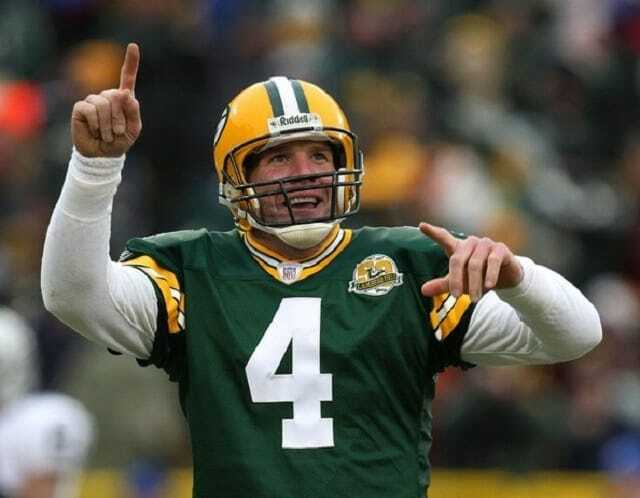 With his improved game, Favre led his team to victory over New Orleans with a score of 35 to 21. 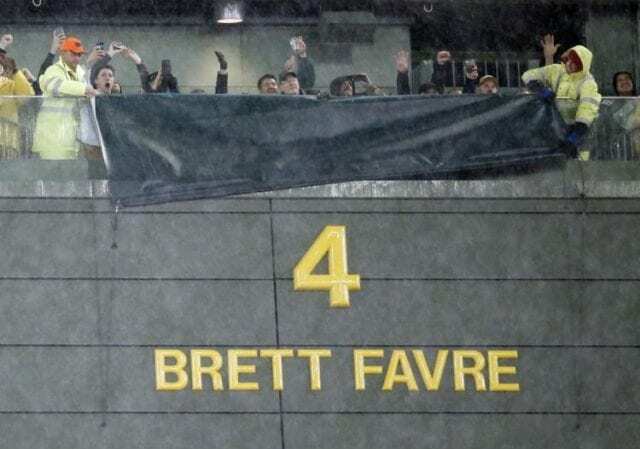 After helping his team to victory, Favre had become a legend in the eyes of the Green Bay Packers fans. It wasn’t just his performances on the field that endeared him to the supporters though, it was also his increased involvement with his media duties. 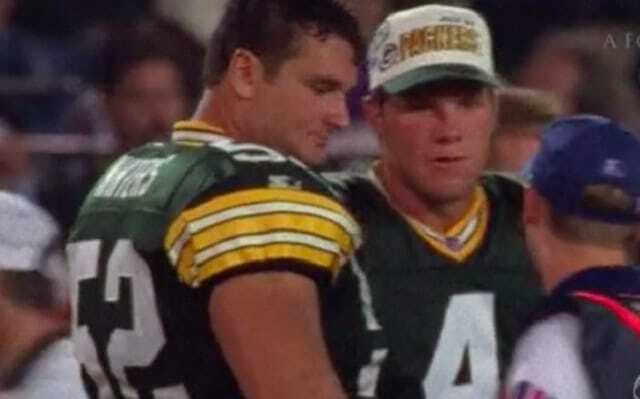 Favre appeared to be a genuine person and was a lovable player. His fellow teammates confirmed that Brett would treat everyone with the same level of respect regardless of who they were. One of the most influential people in Brett’s life, his father, passed away in 2004. It was shocking news and a day that the quarterback would never forget. This was the man he looked up to the most and the person who drove him on to do great things. The day after his father was gone Brett made the tough choice to play in a crucial NFL game, something he believed his father would have wanted him to do. Even though he had the devastating news still ringing in his ears, Favre went onto the football field the day after his father passed away and had an amazing game. He was given a standing ovation for his bravery from both sets of supporters but Brett knew what he had to do, play the best game he had ever played. That’s basically what he did, the Packers destroyed their opposition, and Favre even scored four touchdowns himself. 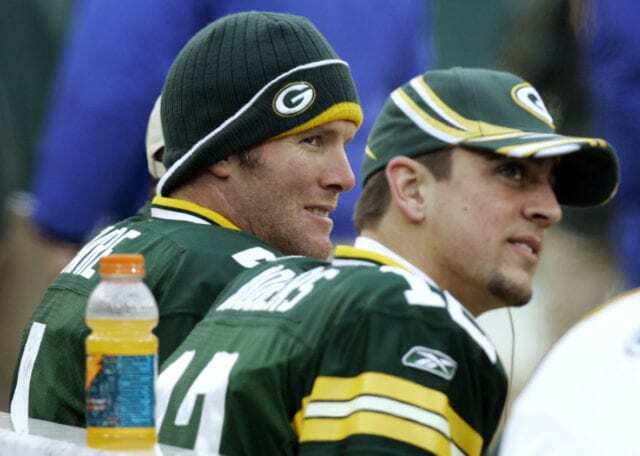 Brett had been the man for so long in the Green Bay dressing room, but when his coach drafted in a future replacement, Favre didn’t react well. Instead of getting better, Favre’s game seemed to dwindle following the signing or Aaron Rodgers. He played okay, but nowhere near as good as he could and by 2007 Favre was let go. He went to the New York Jets, the team he played for during his texting situation story, but he couldn’t raise his game. By his own standards, Favre had a very poor season with the New York Jets. 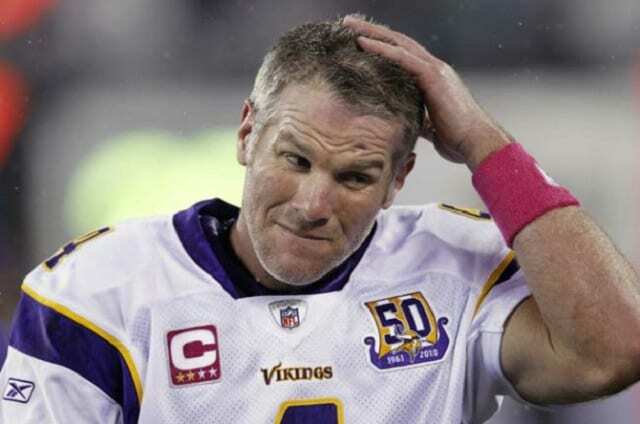 To try and recapture some of his former glory, Favre transferred to the Minnesota Vikings. That would mean he would come up against his old team the Green Bay Packers. When Favre brought his new team out against his former, he showed them what they were missing and helped the Vikings be victorious. Favre’s body couldn’t keep up the pace, and he retired in 2010. Professional football can pay pretty well, especially if you are a player of Favre’s caliber. Even though he retired in 2010, he still is making money from his professional career, and his net worth is an estimated $110 million. 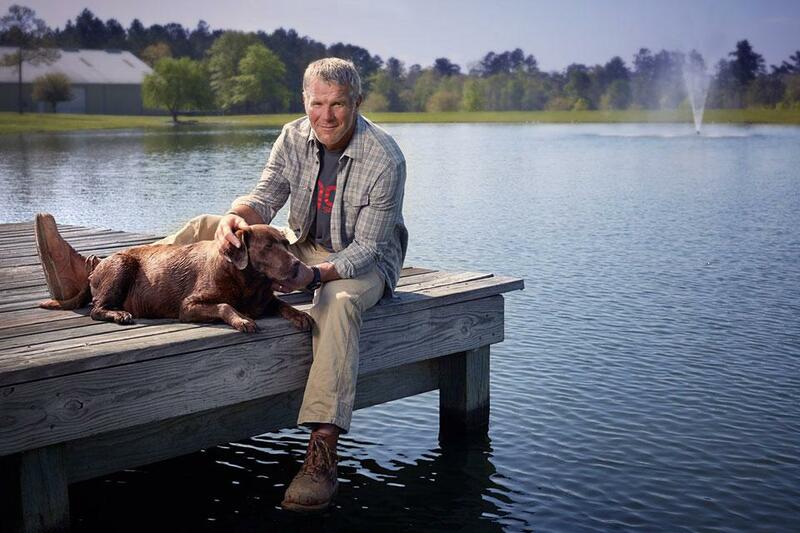 Thanks to several endorsement deals Favre earns almost $10 million per year as the face of sports products. 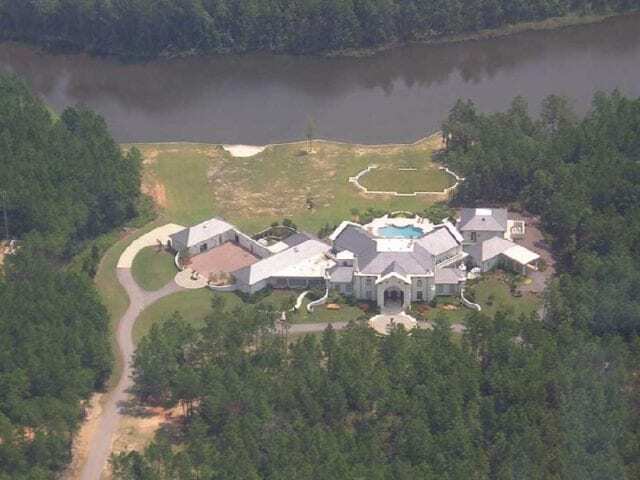 All of this spare cash was put to good use by Favre, and he moved his family into an impressive house. After retiring in 2010, Brett needed somewhere to hang out during the day as he wasn’t going to be training everyday. So he found a massive mansion for him and his family to settle down in. 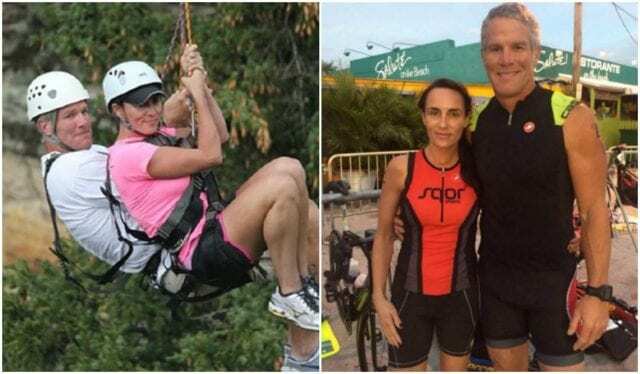 Favre had been traveling the country for his entire professional career, but now he was finding somewhere to settle down and spend precious time with his loved ones. This huge complex is near to where it all started for Brett, Lamar County in Mississippi. You might have thought that Favre would have learned to steer clear of media stories following the texting situation that almost cost him his marriage. In 2015, five years after he had retired Favre got into hot water once again following an appearance by Caitlyn Jenner at the ESPY Awards (Excellence in Sports Performance Yearly Award). 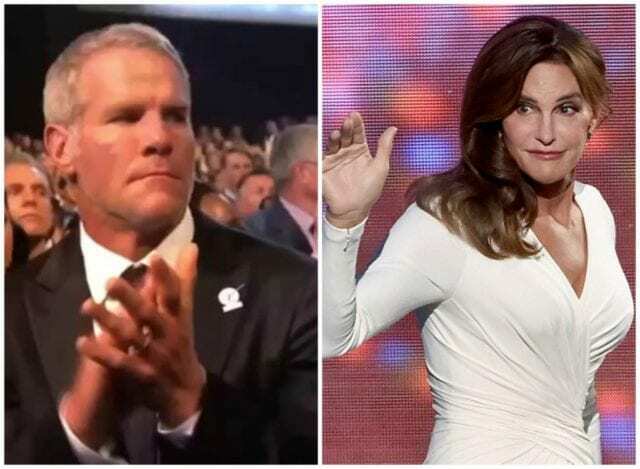 During the ceremony Brett was caught rubbing his hands together while watching Caitlyn walk onto the stage, the image went viral, and Favre was in trouble again. 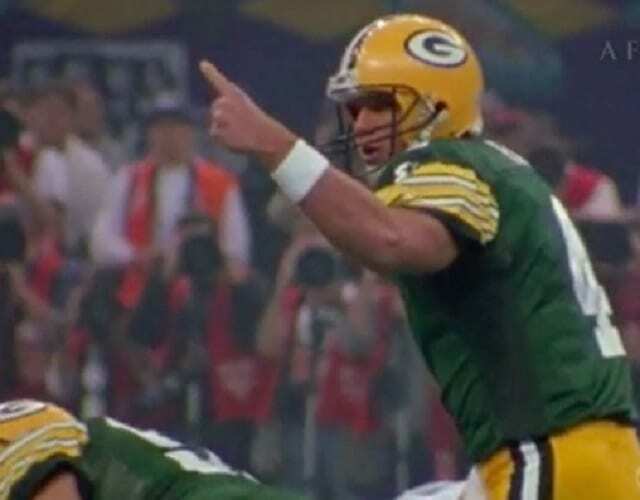 After Favre made the mishap, a familiar face cropped up once again. The footage of the former NFL star rubbing his hands together spread across the internet like wildfire, with many questioning his behavior. While the new outlets were having a ball, Jenn Sterger tweeted to share her opinions on the ordeal. She tagged Caitlyn Jenner before adding the caption “Welcome to my world.” While Favre had tried to put the past behind him, Sterger didn’t seem to have moved on. 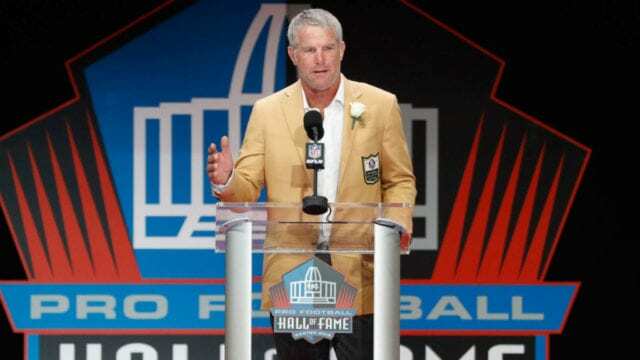 For his accomplishments in the NFL, Favre was inducted into the Pro Football Hall of Fame in 2016. While accepting his place among football’s greatest ever players, Favre gave an emotional speech. He went on to talk about his father and how his desire to improve all stemmed from trying to continue impressing his dad. Favre said there was no one else in the world he looked up to more, ending his speech by saying he hoped his father was proud. People wanted to know as much about Favre as they could. What was the secret to his success, and was it something they could replicate themselves? Favre agreed to feature in a documentary about his life and career, and in 2017 Finding Favre was released. In the documentary, viewers are given an insight into his early life, as well as a behind the scenes look at his family. His former teammates and coaches were interviewed, giving their honest opinions on the star. We're on the hunt for the latest and greatest in Hollywood. We've compiled and reviewed some of the top movies in cinematic history, ranked and listed "the greatest" to ever come out of the silver screen, and profiled some of the hottest actors in show biz. © MoviePredators.com. All rights reserved.